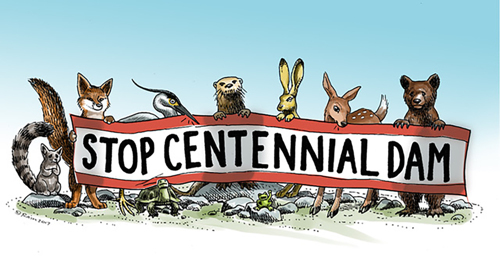 Extra illustration for Centennial Dam call to action. 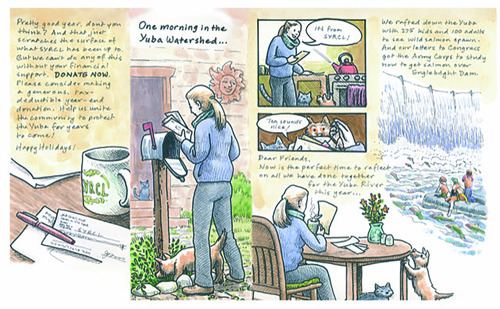 South Yuba River Citizen's League (SYRCL) was formed to protect the Yuba River (south fork) from being damed. They succeeded. 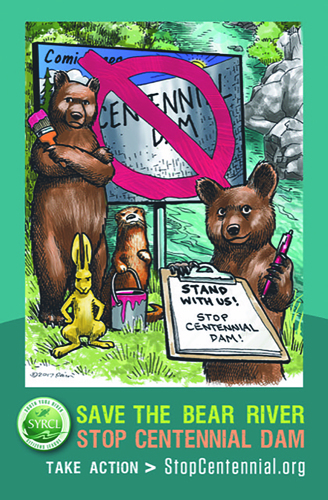 Now SYRCL is fighting for another local river, the Bear River, from the proposed Centennial Dam. This is their first "call to action" poster that I illustrated. This was colored by David Welner. 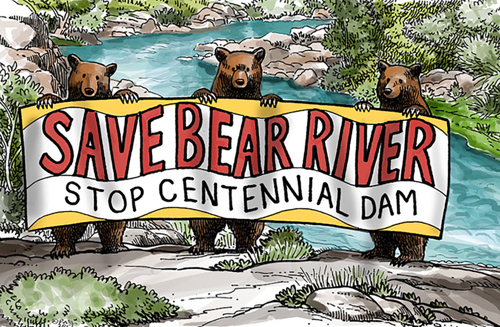 The fight to save the Bear River continues. This is my illustration for the second year. Colors and poster design by David Welner. Getting people to NOT throw away your letter as "junk" immediately is an art... This was the illustration used to grab their attention and make them open the envelope! 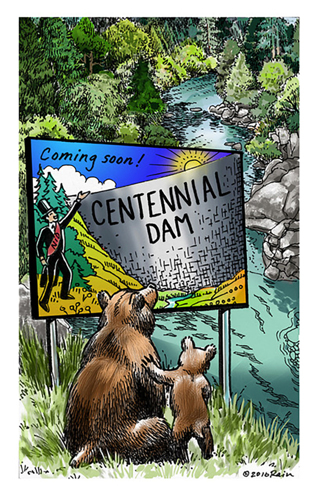 There are many angles to stopping a dam from being built. SYRCL wanted one more illustration to be used on letters or website or what ever was needed. This is what I made. David Welner colored it beautifully. 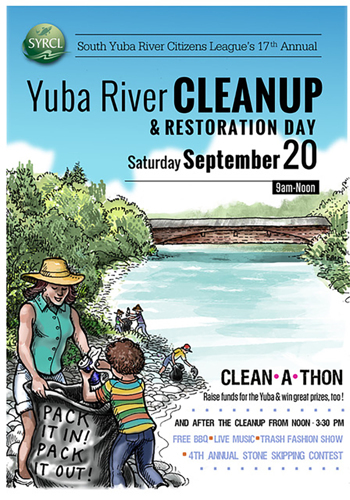 SYRCL hosts an annual river clean up day. I drew this illustration for them and David Welner colored and designed the poster. SYRCL has to fundraise every year. Illustrating this brouchure was one of the first jobs I did for SYRCL. It is also one of the few I colored (watercolor). David Welner made sure all the folds were in the right places.